A man handed over two black bears to activists Tuesday, promising the animals a new life after 18 years in captivity. 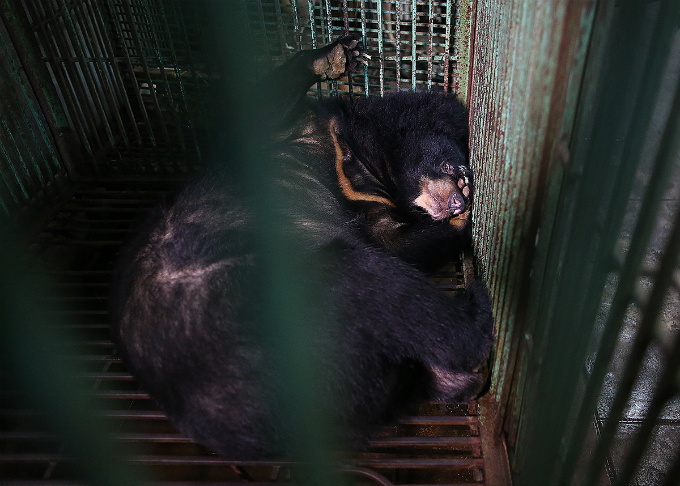 Tran Van Trach has iron cages in a small courtyard behind his house in the northern Thai Nguyen Province and held around 10 bears for commercial bile extraction. 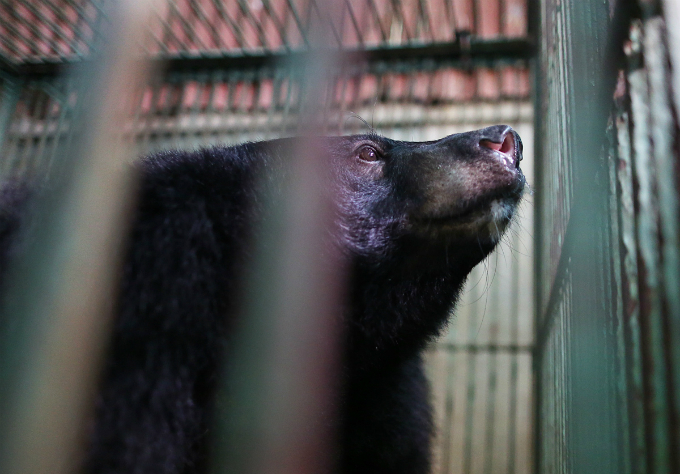 The animals, called Hoa Lan and Hoa Tra, were held in cramped, two-meter-high cages for the last two decades at a bear farm in Thai Nguyen. They weigh 160 kilograms (352 lbs) and 180 kilograms (374 lbs) respectively. 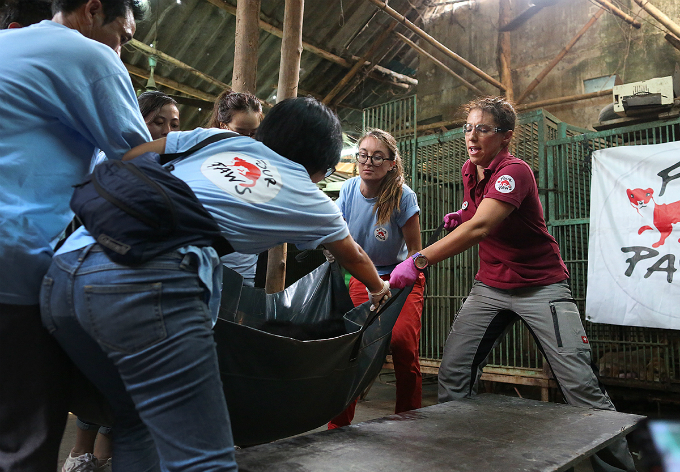 A group of activists from Four Paws, an international animal welfare organization, and doctors brought medicines and necessary equipment to carry out the rescue. A doctor uses a blowpipe to shoot a tranquilizer into one of the bears before taking it out of the cage. The tranquilized bear awaits rescue. The bear is weighed to assess its health. Experts examine the animal and take samples of blood, hair, feces, and urine. 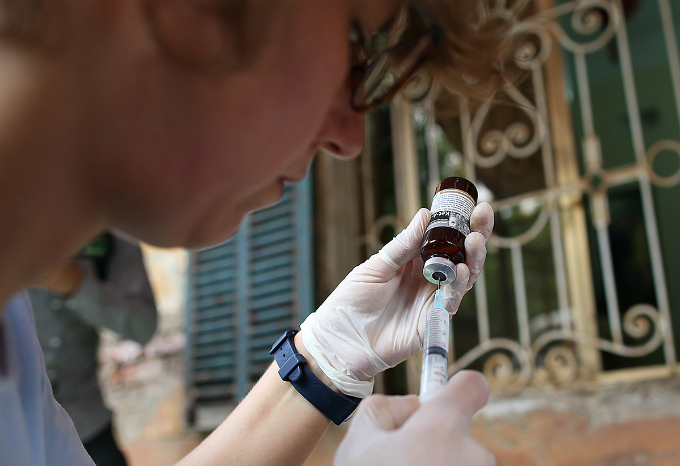 The two bears were found suffering from obesity, gall bladder damage, urinary tract infection, damaged nails, and tooth decay, said Johanna Painer, a consultant at Ninh Binh Bear sanctuary in the namesake province, two hours south of Hanoi. 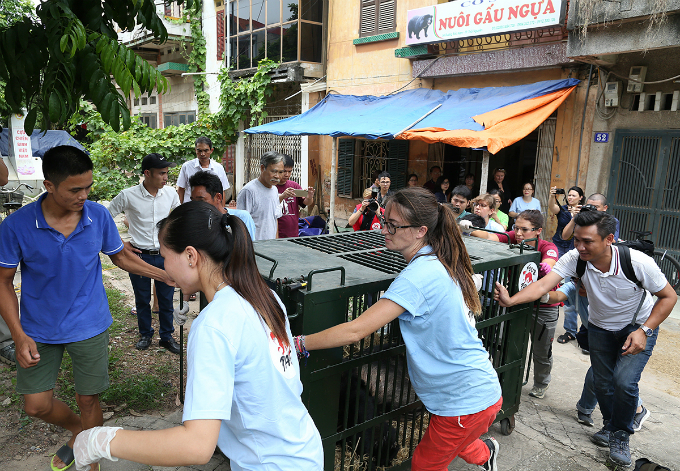 Volunteers struggle to carry the huge bears through a narrow entrance. The animals are expected to be isolated for three weeks to receive treatment from caretakers and veterinarians before being released into a semi-natural environment at the sanctuary. Vietnam is home to the Asian black bear and sun bear, both listed as vulnerable species by the International Union for the Conservation of Nature. 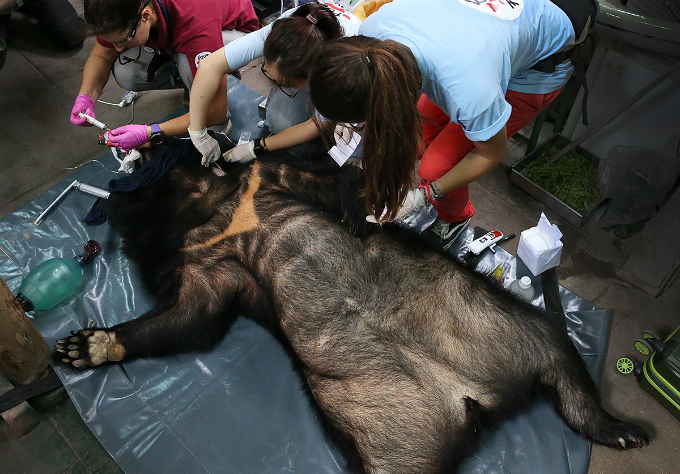 The extraction of bile from living bears is illegal in parts of Southeast Asia, including Vietnam, where bear bile has for long been used as a remedy in traditional Chinese medicine. 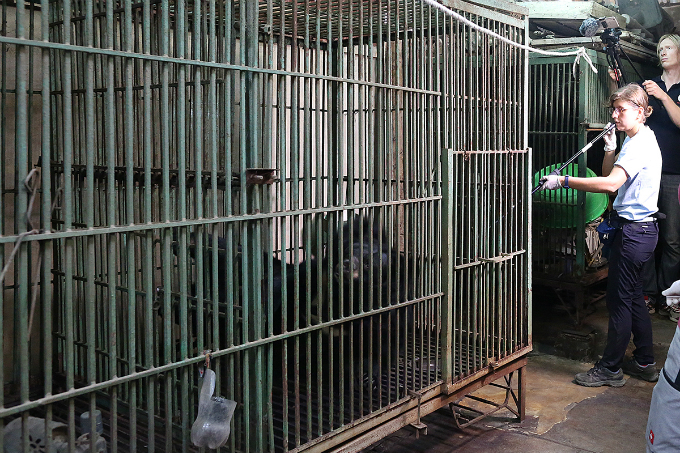 Vietnam banned commercial bear bile extraction in 2005, but more than a decade later bile farming remains a problem. 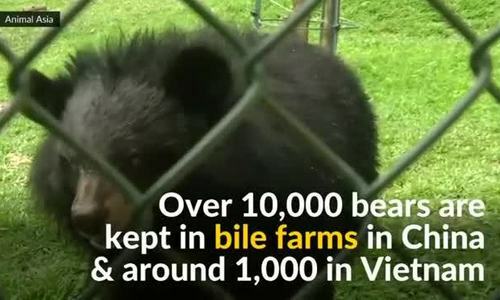 The government signed an agreement last July to work with animal activists to shut down all bile farms and free the remaining 1,000 bears in captivity by 2020.